It’s not as if we need a reason to celebrate FLOTUS Michelle Obama (fyi, she’s the only first lady I acknowledge) because, I mean, she’s Michelle.Obama. She’s the cinnamon queen we’ve been waiting to bow down to foreva. No offense Bey. Her “when they go low, we go high” mantra was way more effective than that make America great ish. Aaanndd it was THE perfect cautionary sign for people (like me) heading towards petty town. It was used more like a speed bump, really. Anyway, what to get the woman that has everything. The hell if I know that’s Barack’s problem. What I’m going to give you is what we’ve been craving for months: more Michelle. To celebrate Michelle Obama’s 54th birthday we’re highlighting her five most lit moments as first lady. Number 1 is Michelle’s truth bombs. This First Lady always kept it 💯 Especially about our nation’s history. No fake news here. Number 2 is Michelle’s emphasis on education. Like a cool aunt you don’t mind listening to on career day, Michelle would traverse across the country to the most millennial-heavy events to press the point of getting a higher education. Number 3 is her unconventionality. What other first lady has spit a verse about healthy eating? I’ll wait. Number four is helping Black women, or women in general, realize their self worth and how to make themselves a priority. Number five is Michelle’s give back game. It’s epic. There wasn’t a school she didn’t visit or a soup kitchen line she didn’t serve a meal. Happy Birthday, Michelle. Our wish is for you to continue to be great. Awesome Dawes– this is why—as she’s so affectionately called by her adoring fans (me included) urged kids to ditch that cheese bus and lace up their kicks today for International Walk-to-school day. The bronze and gold winning Olympian joined students, parents and teachers from Rogers Heights Elementary in Maryland to burn some calories while heading to class. The initiative was sponsored by the health care organization Kaiser Permanente to get kids active in their communities. 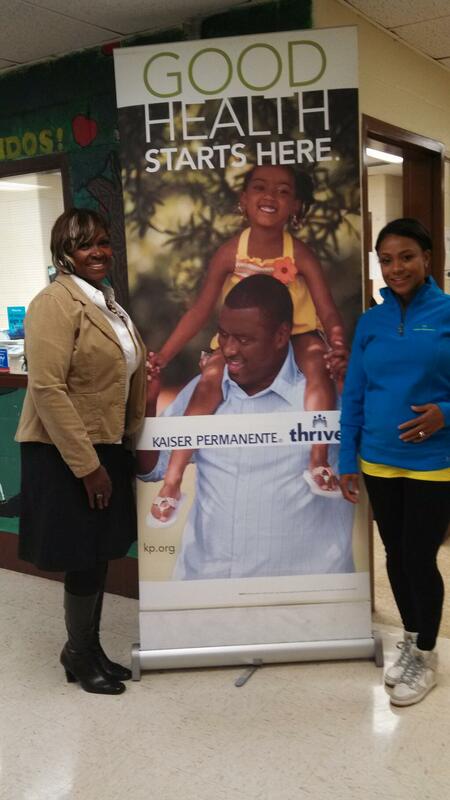 Thanks Rogers Elem School and Kaiser Permanente for an inspiring event to encourage our school kids to walk! Get active, get moving, get healthy!! Dominique joined FLOTUS Michelle Obama’s Let’s Move campaign in 2011. And the somersault soaring and tumblin’ diva is also co-chair to President Obama’s Council on Sports, Fitness and Nutrition. I think even she would be impressed. Keep a look out for Dominique this month to appear in a NBC TV special about thriving schools. I will keep you updated when I know more deets. Meanwhile, while Dominique was walking…. ….Diana Nyad was swimming…again..for Hurricane Sandy victims. The tenacious extraordinaire who was the No. Uno person to swim from Cuba to Florida with jellyfish, sharks and hypothermia nipping at her heels (literally) jumped into the water this morning for charity. To commemorate the one year anniversary of Hurricane Sandy she decided to swim nonstop for 48 hours in hot spot Herald Square in NYC. ABC News reports that a 40-yard two lane pool has been erected in Herald Square for Diana’s mission. So far Diana’s efforts have raised over $68,000. To help donate money or encouragement to Diana Nyad please click here. And to watch the live feed of Diana’s continuous swim click here. So, I guess Dre (Andre Young) is putting the Beats headphone money to good use. 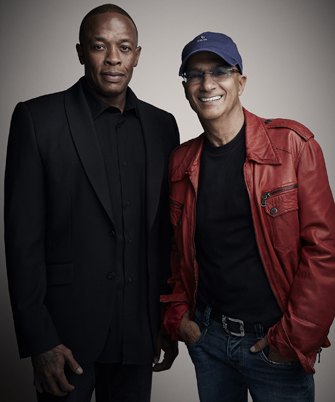 He and the other super producer Jimmy Iovine donated $70 million dollars to go towards the undergraduate Trojans. University of Southern California will take that big fat check and establish the USC Jimmy Iovine and Andre Young Academy for Arts, Technology and Business (whew! !that’s a mouthful). The school will focus on entrepreneurship, computer science and the arts. The main emphasis is innovation and using technology and arts to pinpoint the next big thing. And speaking of educational opportunities, FLOTUS thinks that young African Americans need to broaden theirs. In a commencement speech to Bowie State University this week, Michelle Obama lectured the predominately Black student body on their lax ambitions and narrow career goals. Can’t say that I blame her. To often I hear young boys quote Biggie’s “Things Done Changed” lyric: “Either you’re slingin’ crack rock or you got a wicked jump shot” as an excuse not to try something new. Hopefully others were listening to FLOTUS, who received a standing ovation. Check the video below.